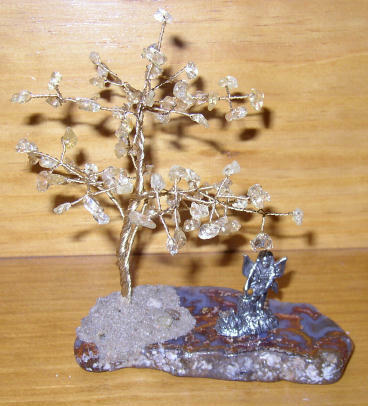 Gem tree made from Brass wire, polished Citrine Chip beads for leaves and a base made from a polished Big Bend, TX Agate. 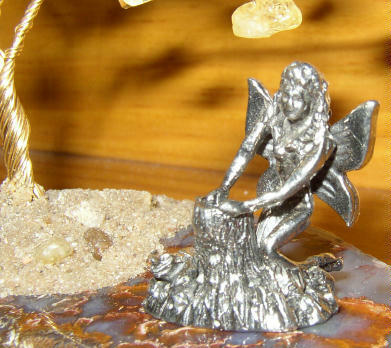 Also included is a pewter figurine of a fairy . The ap-proximate dimensions are : 6 inches W X 6 inches D X 6-8 inches D.